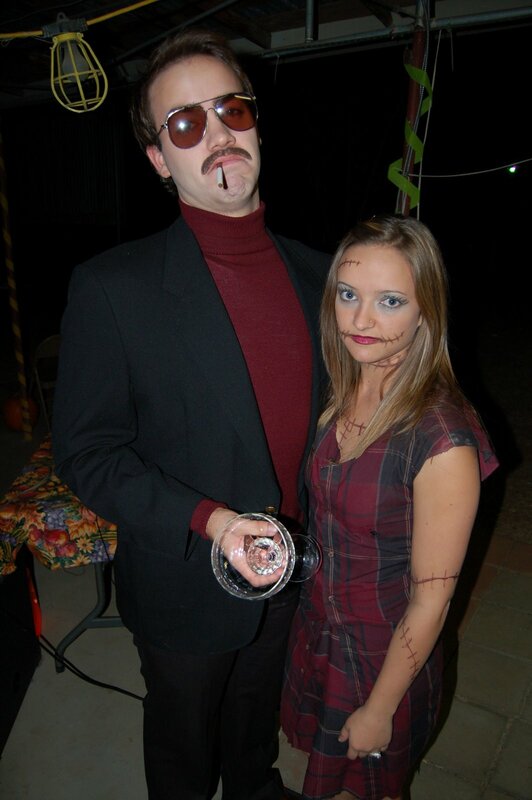 Then the gentleman’s brother and sister-in-law as Goulet from SNL and Sally from The Nightmare Before Christmas. 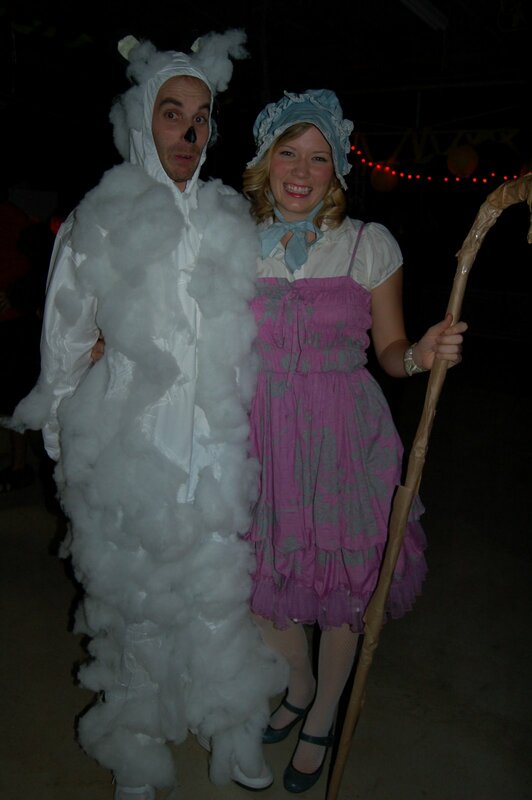 The F fam as a sheep and Bo Peep. We found pieces of hi’s costume all over after the party. 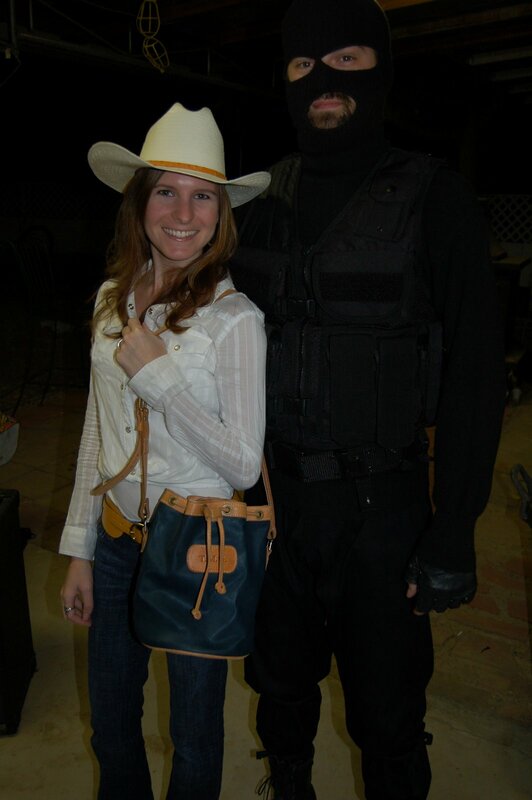 The Q fam as a cowgirl and either terrorist or anti-terrorist, I don’t think we ever found out the answer to what he was. But I do like how you can pretty much only see his eyes and mouth! 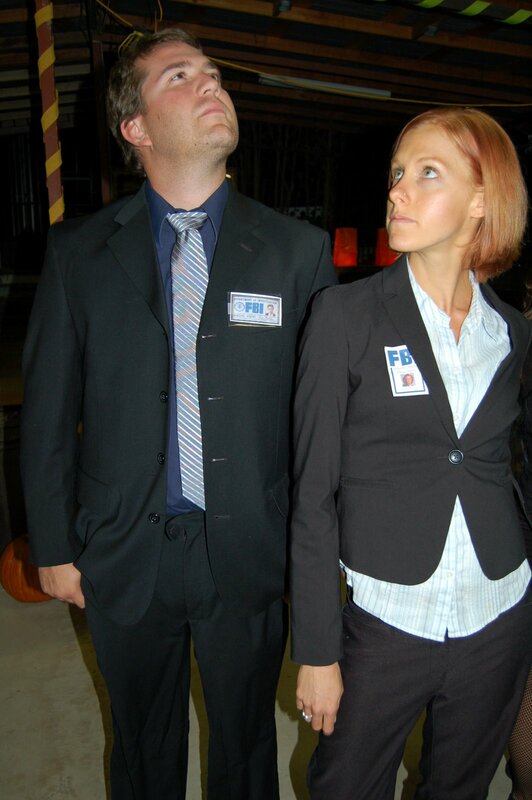 The V fam as Moulder and Scully from the X-Files of course! 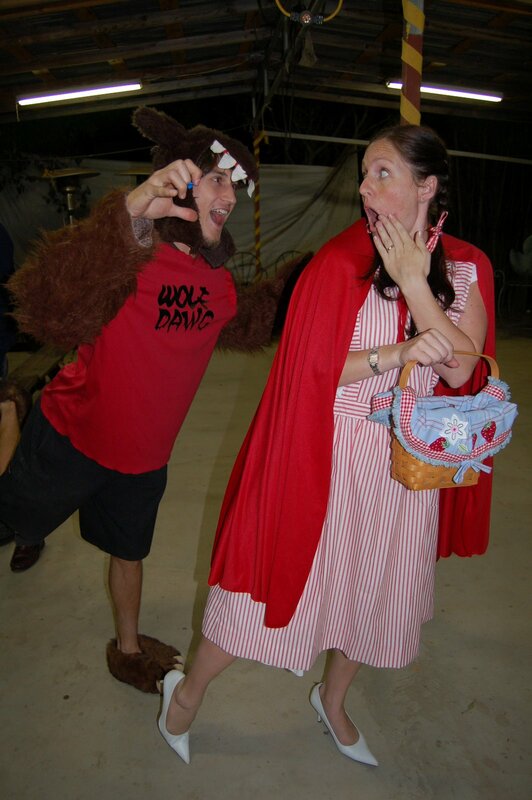 Another F fam as the wolf and Little Red Riding Hood. 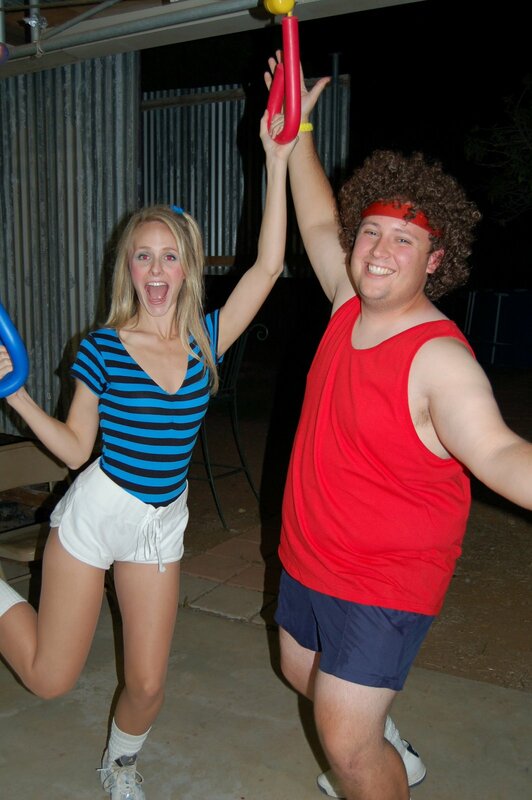 The B fam as Suzanne Sommers and Richard Simmons, complete with thighmasters! 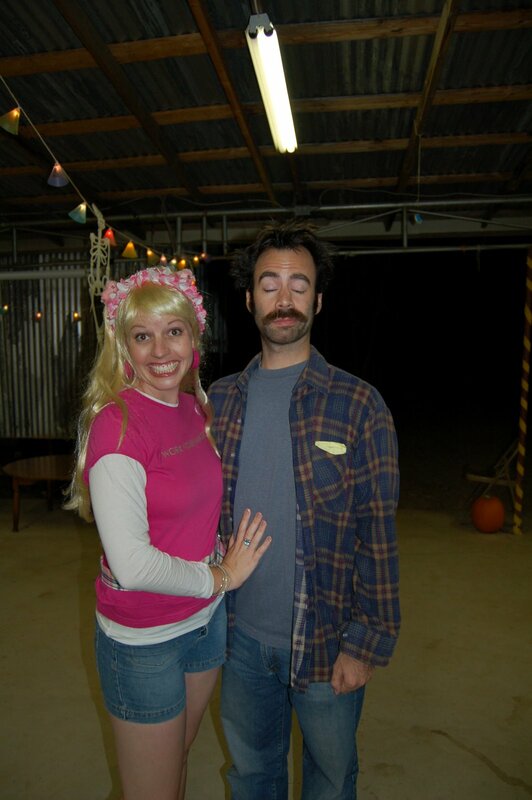 And us as Joy and Earl Hickey from My Name is Earl. And now you can see the finished product with hi’s facial hair. YIKES! The V fam as Mario and the Princess! 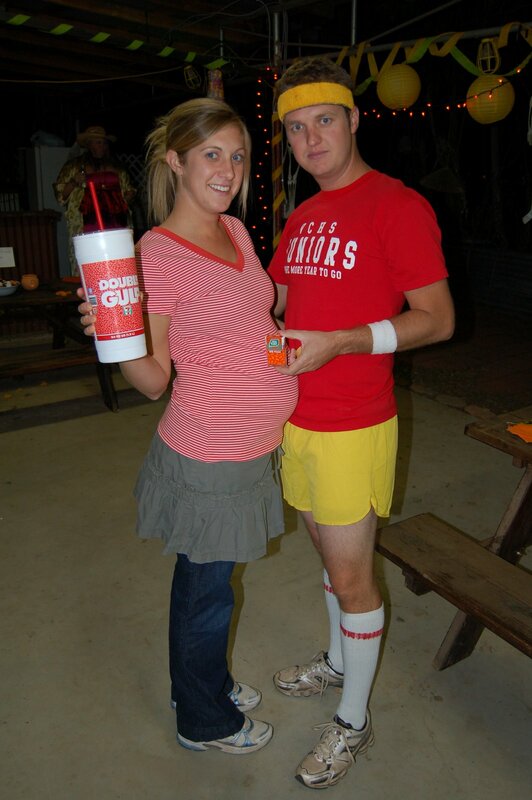 And The P fam as Juno and Pauley Bleaker from Juno. 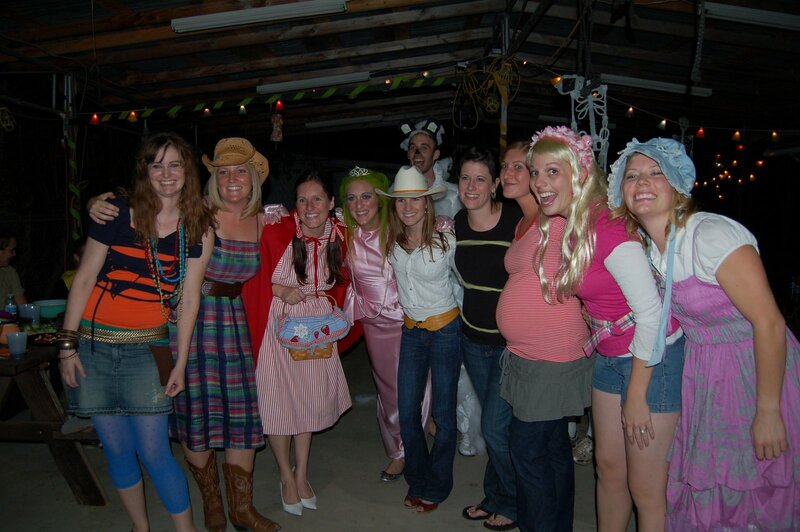 Awesome costumes this year! There were more but I guess we didn’t get photos of them, sorry guys!! This entry was posted in celebrate, play, things to do by SidebySide Photography. Bookmark the permalink.